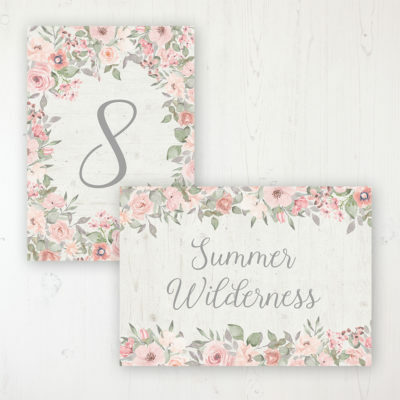 Summer brings that warm feeling of delight as the garden blooms with a flurry of warm pastel colours to showcase the finest flowers of the season. 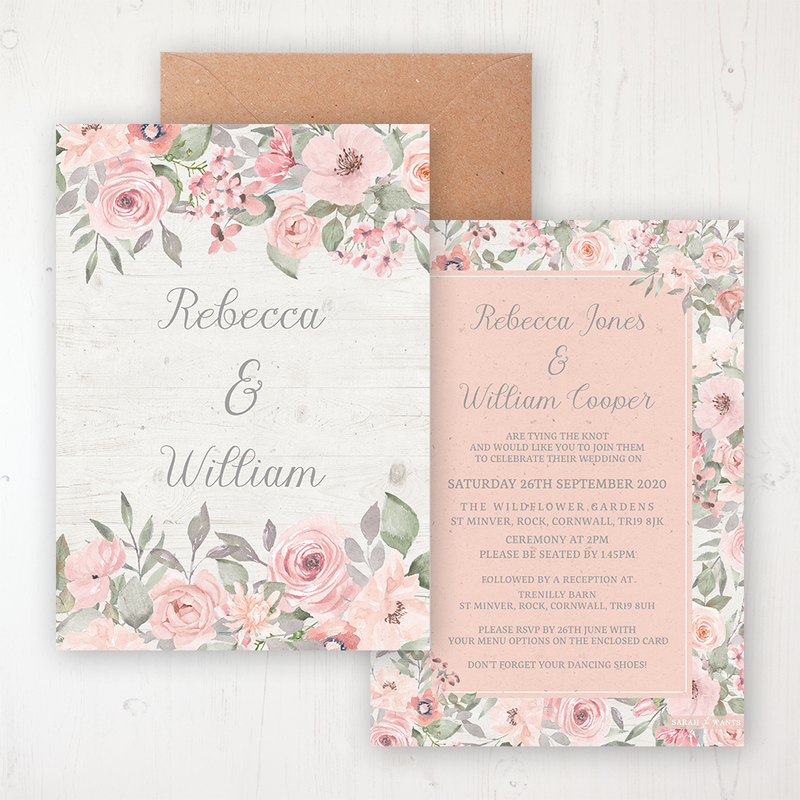 A soft feminine design with tones of blush, peach and coral. So it’s got to that very exciting time when you need to invite some guests to your wedding. If you want something gorgeous and unique to send to your nearest and dearest, then you’re certainly in the right place. Whether you’re after something short and sweet or want to go all out with all the accessories, there are many options. You can pick and choose what bits and pieces you’d like and build your own unique package for your set of day and eve invites, according to your needs and budget. You’ll of course need to start with… the invite. 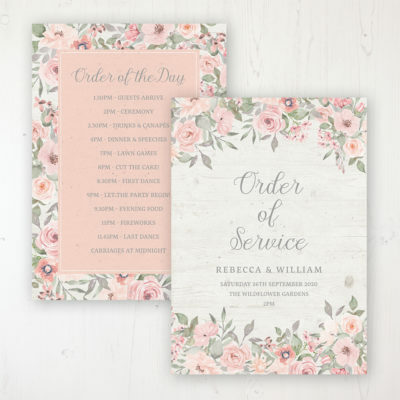 These are printed onto 320gsm luxury textured card and are 5″x7″ (approx. 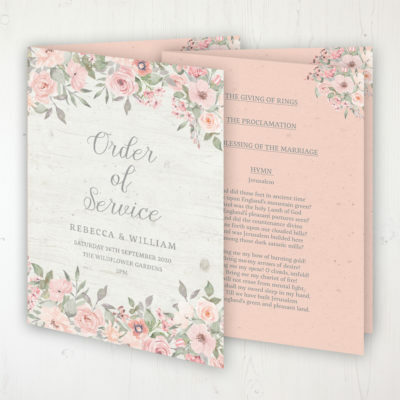 127mm x 178mm) in size, with your names on the front and your invitation details on the reverse. These come with recycled kraft envelopes as standard. Please add day invites and evening invites to your basket separately. 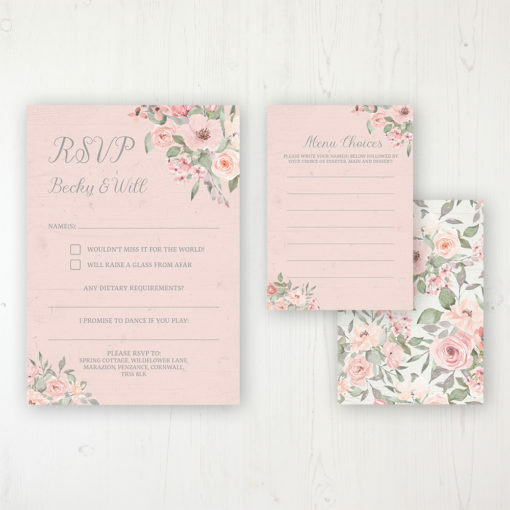 There are lots of additional things you can add to your invites. Read about all the individual options in the tabs below. 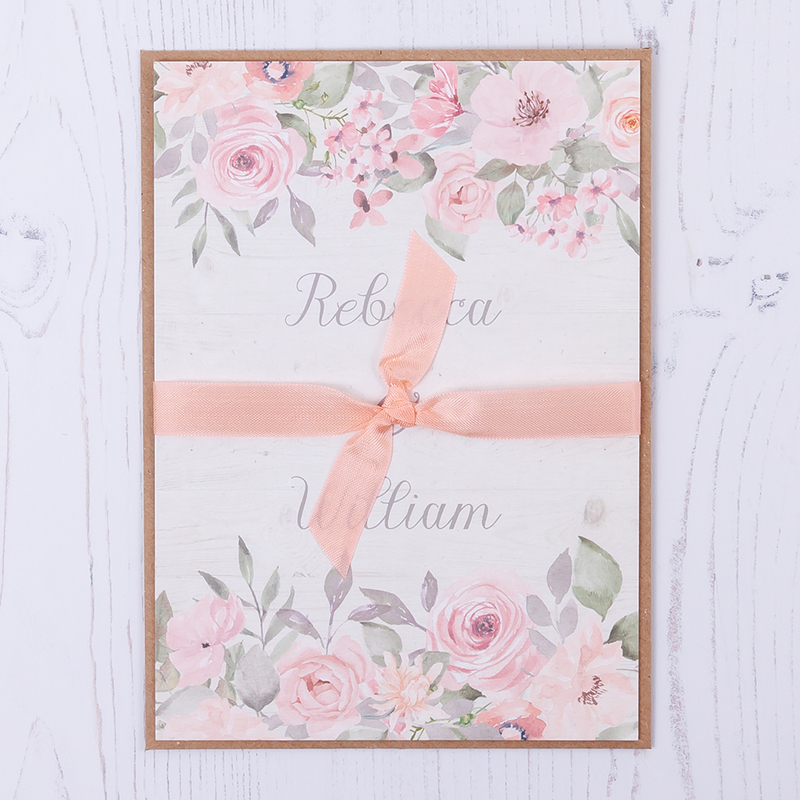 Add blank labels to your envelopes for an extra bit of pretty. 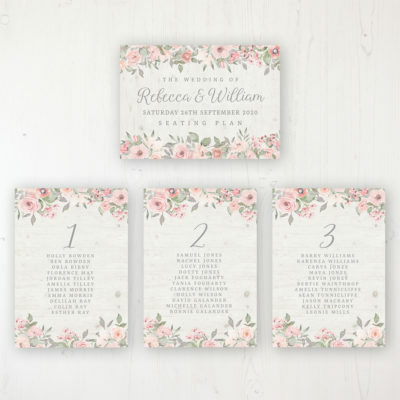 Or opt to have labels with your guests names and addresses pre-printed. These are 88 x 63mm peel and stick labels and supplied on a sheet. If you would like labels to be pre-printed, you will need to provide the addresses on a template which can be downloaded here. 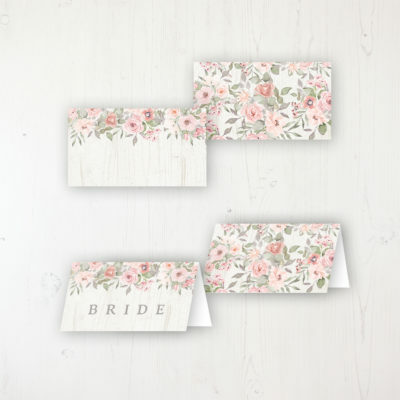 Add a little sticker to the reverse of your envelopes to carry on the theme and make them even prettier. These are 19mm in diameter and are peel and stick, supplied on a sheet. Add an RSVP card to your invites to allow guests to reply quickly and easily. These are A6 size (105 x 148mm) and printed on luxury 320gsm textured card. 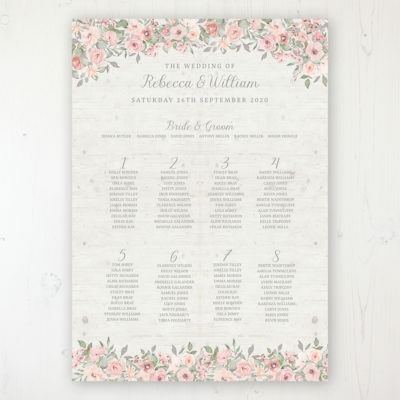 With ‘RSVP’ at the top and your names below, these include a line for guests to write in their names and tick their response. There is also a line for dietary requirements and song request below, which can be omitted if not necessary. 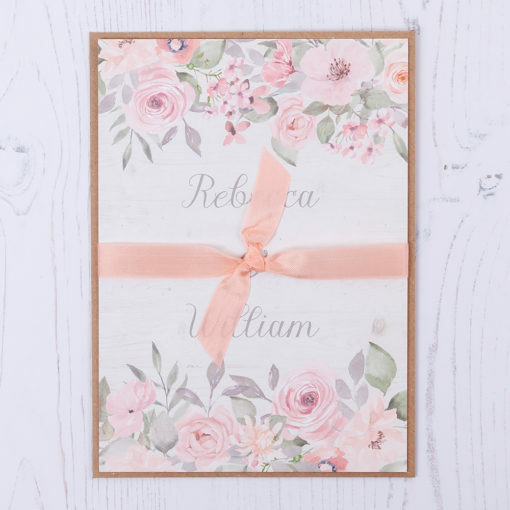 Your RSVP address will be detailed at the bottom for guests to copy onto the envelope before sending. 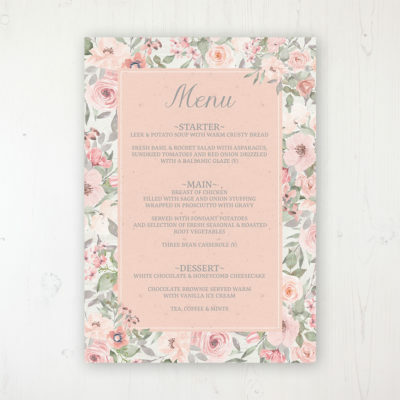 The reverse will feature the background design or space for guests to detail their menu choices. These RSVPs come with your choice of recycled kraft or white envelopes as standard. If you have menu options, these will need to be added to a separate info card and we can use the reverse of the RSVP card to print some lines for guests to confirm their choices. You can also choose to have your RSVP address pre-printed onto labels to go on your envelopes. Dimensions are 88 x 63mm, these are peel and stick and supplied on a sheet. The info cards are A6 size (105 x 148mm), printed both sides on luxury 320gsm textured card with space for extra details on each side. This can include extra information such as directions, accommodation options, gift details, taxi numbers etc and can be up to approximately 150 words per side. Tie a beautiful knot around your invites with this natural and environmentally friendly ribbon (no nasty plastic or synthetic material here!). Supplied as one continuous length which you will need to trim to 50cm lengths and tie around your invites. 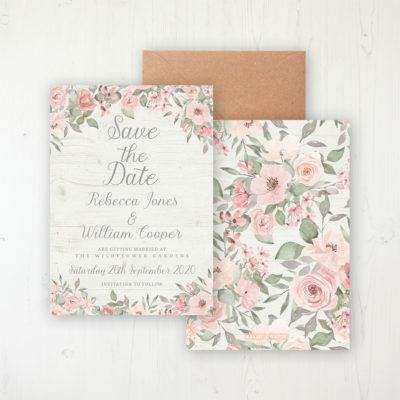 Wrap your invites with a 120gsm paper wrap featuring your wedding date and a stylish sealing sticker to finish it off. 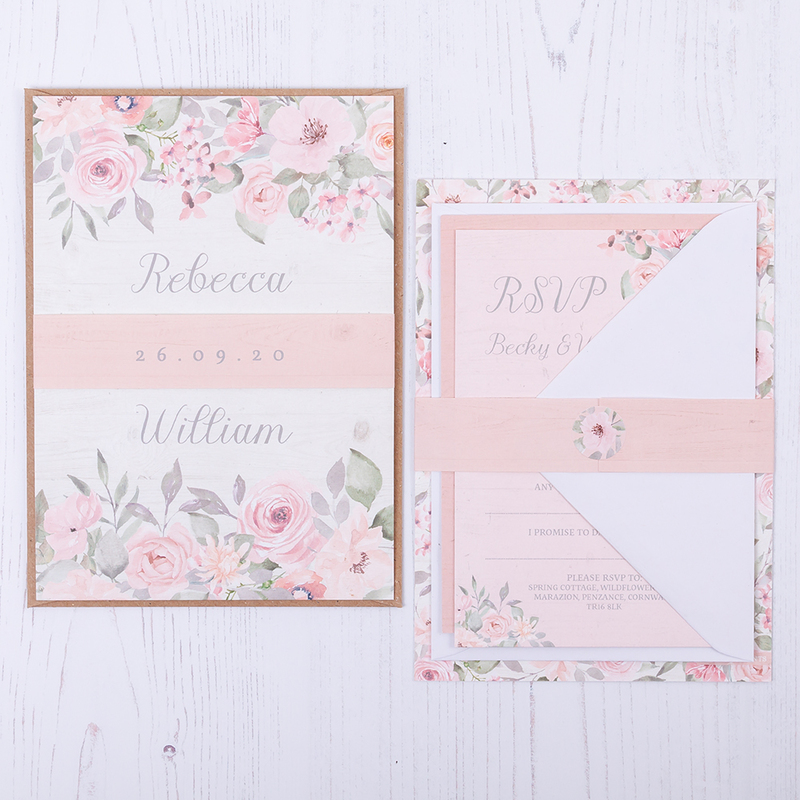 Wraps and stickers will be supplied separately for you to wrap around your invites after completing them. 75 x 45mm tag with your wedding date and a hole punched in the top left corner. 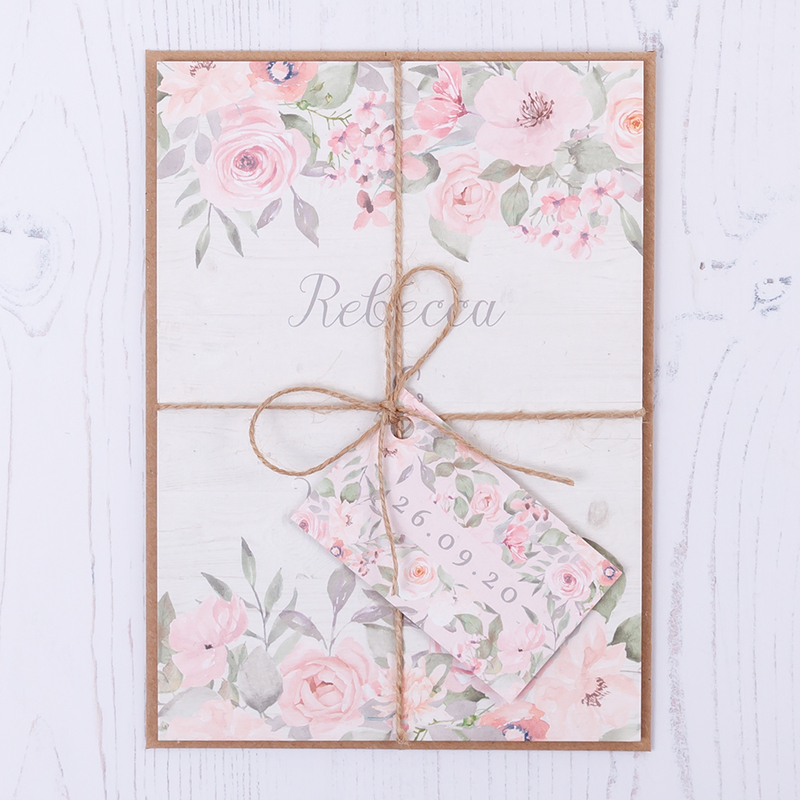 Tie string around your invites with this pretty tag for an added rustic touch. String will be supplied in one continuous length for you to trim to size and tie around your invites. Please enter a value greater than or equal to 20. 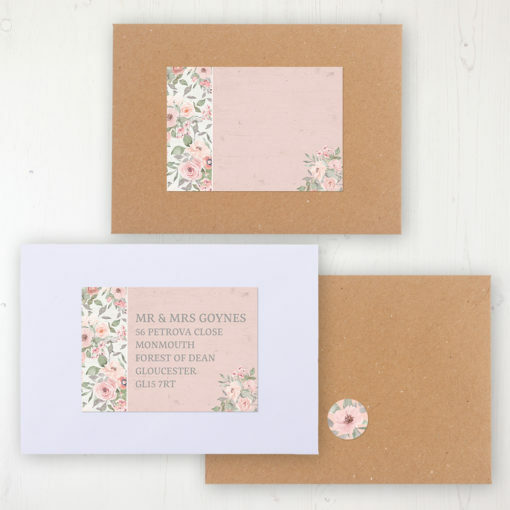 If you want your envelope labels pre-printed with your guest addresses you can choose that here. Select your finishing touch here. For more info see the Finishing Touches tab above. To supply us with your guest addresses for printing on your invitation envelope labels, please download our template here. After you have completed it, please upload it below. If you don't know them yet, you can email us the template later. Accepted file types: xls, xlsx, csv. 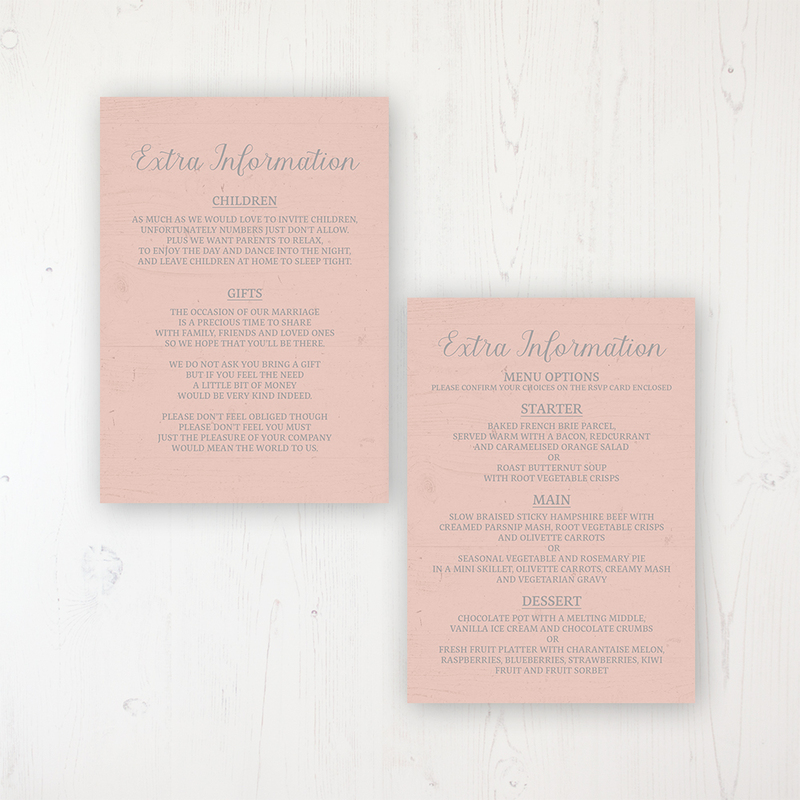 Please download our invitation wording template here which you can complete and upload with your order below. Accepted file types: doc, docx, pdf, pages, rtf, txt. After placing an order I will be in touch to request any wording/further details needed. Once I have everything I need from you, I will then create a digital artwork proof of your stationery and email this over within 2-3 working days. It is important at this stage that you check your proofs very carefully to ensure you are happy that there are no errors as what you approve is what will go to print. If any amendments are needed then let me know and I can adjust and the artwork which will then come back to you for approval. 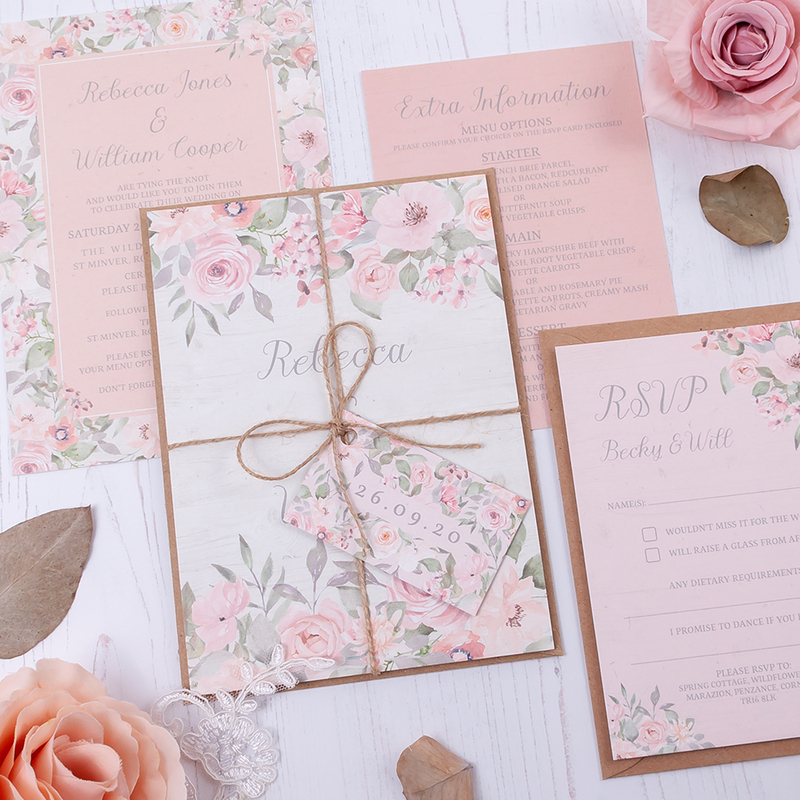 Once approved and sent to print, your stationery should arrive back within 2 weeks and you’ll get an email notification to let you know it’s on its way.